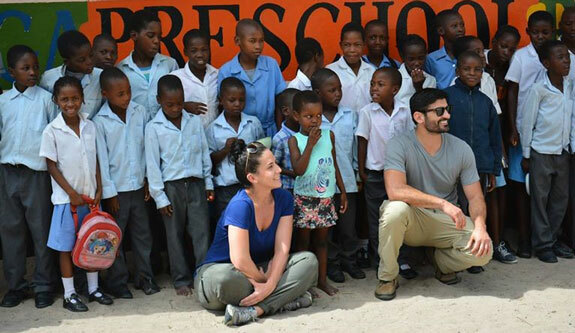 Wilderness Safaris has had a commitment to Pack for a Purpose from the very beginning. It was on a Wilderness safari to Africa in 2002 that the idea for Pack for a Purpose first seeded itself in our founder’s mind. Wilderness Safaris was one of the original 29 accommodations to join Pack for a Purpose when it was founded in mid-December 2009, and their brand reputation and reach have been essential in helping PfaP build our credibility. Seven years later, our partnership continues to have a Big Impact on the lives of children in Botswana. See how this success continues below. 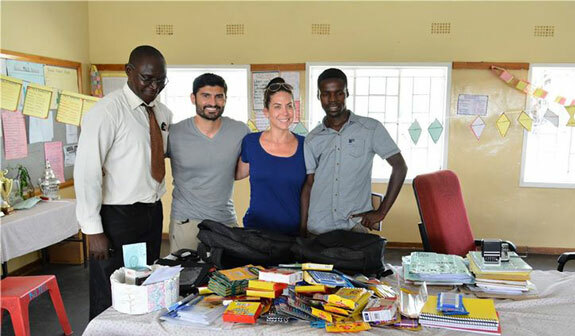 Wilderness Safaris Vumbura Plains Camp had a very generous couple who brought school supplies with them through Pack for a Purpose. They asked if they could visit the local village and schools to meet the families and personally pass on the school supplies they donated. Wilderness was happy to arrange the visit, and the guide who took them on the village tour managed to capture the special moment. The guests left camp with hearts full of joy and were extremely touched by the experience. They had no idea that such a small effort on their part would be so greatly appreciated!